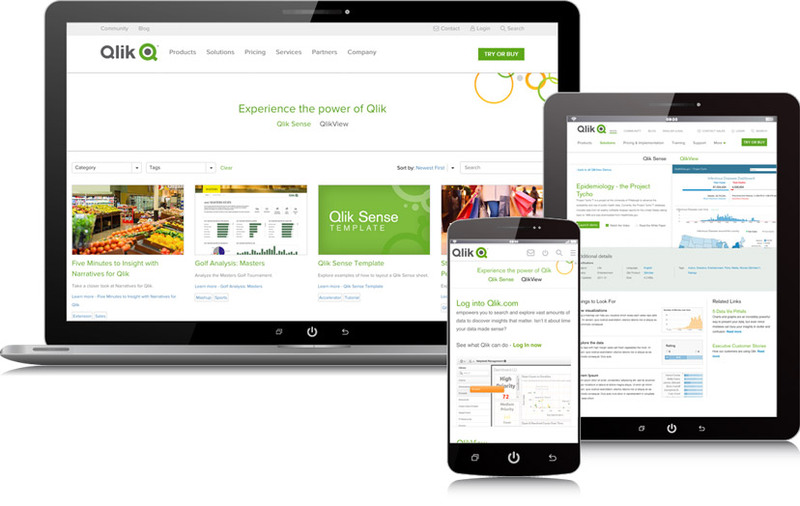 Architecting & Designing how Qlik demos are experienced online. The demo portion of Qlik.com is the second highest viewed portion of the site after the home page. It is where people go to see what the products can do. 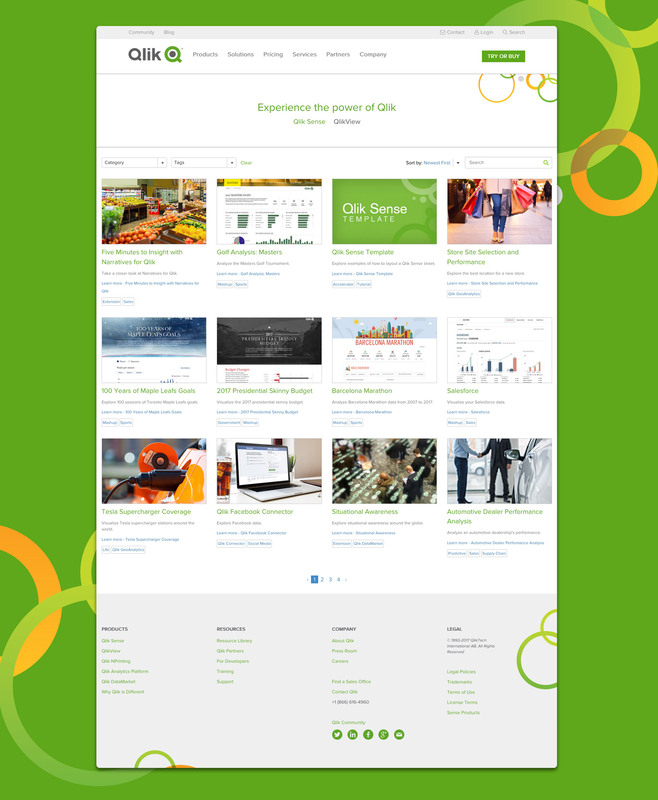 During my time at Qlik I have been the information architect and designer of the demo portion of the site. The focus of the demo area is to give external users what they need. Some users are prospects evaluating various BI products while others are existing customers looking for content they can download. This design is the latest version of the site that looks to meet those needs.